Lava lamps work by taking two substances that don’t mix (usually wax and water) and then heating it to make the ‘lava’ move around. This version doesn’t need wax or heat, just cooking oil, coloured water and a bit of chemistry. • 1 empty plastic bottle (500ml is a good size, still water bottles work best as they have a flat bottom!). First we need to assemble the lava lamp. Stand the bottle on the tray and half fill with water, pop a few drops of food colouring in until you’re happy with the colour. Next, pour in the oil, nearly up to the top (you might need a funnel and a grown-up for this bit!). Leave it to settle for a few minutes, when all the oil is at the top it is ready. Now to make it move. Drop in a small piece of a fizzy tablet and watch what happens. You should see the bubbles carrying the coloured water up through the oil. You can stand the bottle (carefully!) on a small light or hold a torch underneath it for a real lava lamp effect. If you want to keep it for another day you can put the lid on … but you MUST wait for it to stop fizzing first. If you put the lid on too soon gas will build up and it could be dangerous. So how does this work? Oil and water won’t mix because oil is hydrophobic (this means it does NOT like water). 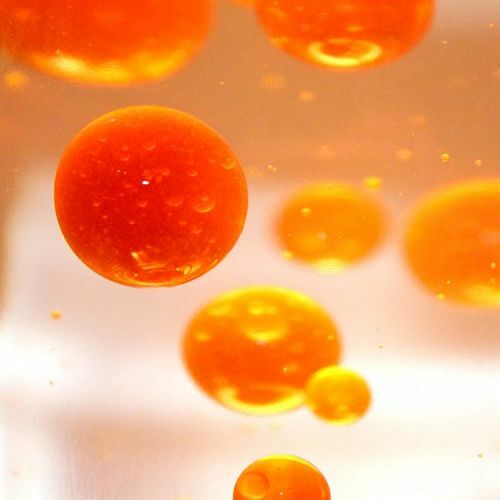 The fizzy tablet reacts with the water to make carbon dioxide gas (just like the vinegar and bicarbonate of soda experiments). These bubbles of gas are less dense, basically lighter, than the oil so can bubble up to the top. You can find lots of experiments to try on our Home Science page…or invite a Fab Scientist to your birthday party or school for more cool science fun! Oobleck is simple to make but the most messy fun you can have with your kitchen ingredients. All you need is some cornflour and water, about a cup of water mixed with a cup and a half of cornflour works well. You can add a bit of food colouring if you like. Green is slimetastic but go with any colours you fancy, pink and glittery can be lots of fun. Try to decide if the Oobleck is a solid or a liquid. Try to press it hard, solid or liquid? Try pouring it, solid or liquid? It’s actually neither, it has a fancy scientific name of a ‘non-Newtonian fluid’, this means it can behave like either. Try stabbing it hard with a spoon, suddenly it’s solid, let the spoon rest on top and it sinks. Weird, huh? You can squeeze it into a ball, it feels all hard but as soon as you let go (or hand it to an unsuspecting victim!) it will collapse and go runny. 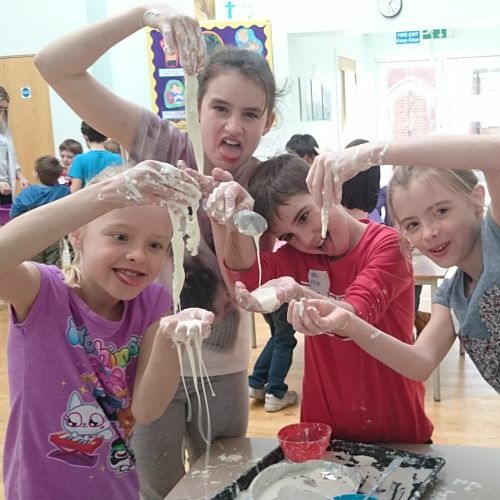 Make up your own experiments, get your hands in it, get gooey and have fun. When you’re done, leave it to dry and keep for another day (don’t use it in the gravy though!). The Oobleck gets even more odd if you get them vibrating. I’ve put some on an old speaker (covered in clingfilm) and played some loud music through it. If you get the right sounds, the oobleck will start to jump and dance about. There is a video on our Facebook page if you want to see this without risking your speakers! There are also some amazing videos on YouTube of people who have taken the oobleck experimenting to the extreme by filling whole swimming pools with it! The tiny bits of cornflour have jagged edges, when you press them together they get stuck and can’t move past each other, so you have a solid. If you stop pressing, they come unstuck and can flow again like a liquid. There are lots more home science experiments to try on our Home Science page. Or invite a Fab Scientist to your birthday party or school and we’ll bring all the kit and take away the mess! If you look closely at sugar or salt, you will see it is made up of lots of little crystals. We can ‘grow’ bigger crystals if we start from scratch and let them form slowly. So how do we make a crystal from scratch? We need to dissolve the salt or sugar and then let it recrystalise. You can try out these two experiments to make some rock candy and geodes. Both of these involve boiling water so definitely one for some grown-up help. Heat a cupful of water in a pan until it is boiling. Then start adding sugar. Stir, add more sugar, stir, add more sugar, stir…you get the idea! Keep going until you cannot get any more to dissolve, this should be at least two cupfuls. This is called a saturated solution. Let the mixture cool down for around 20 minutes then pour into a tall glass. When the solution cools we say it supersaturated, this means it now has more sugar than it can normally hold. It’s ready to start growing crystals! If you hang a bamboo skewer into the glass (use a clothes-peg to keep it in place), crystals of sugar will start to form on the skewer. Remember we need SLOW formation so it will take a few days, perhaps even a week, be patient! It’s really important that it is left undisturbed for this time so put it somewhere out of the way. Geodes are mineral crystals found inside rocks, we can make our own inside eggshells. Make sure the eggshells are perfectly clean and the membrane has come away from the inside. Make a saturated solution like you did before, you can use sugar or try table salt or Epsom salts, then add a little food colouring. Pop the shells in an egg box and fill with this solution, the fuller the better but make sure they won’t spill! Leave them somewhere safe to evaporate and in a few days you should see the geodes form! Crystals form in nature when some things become solids. This can be rocks that were molten (lava) or minerals that were dissolved in water. Molten rocks will solidify as they cool, dissolved mineral will crystalise as the water evaporates. The size of the crystals depends on the time that they take to form. Fast=small, slow=big. Igneous rocks (ones that are made from lava or magma) might have small crystals if they came from a volcano as they would cool quickly in the air. Sometimes igneous rocks can be made slowly underground and we can often see larger crystals in these. 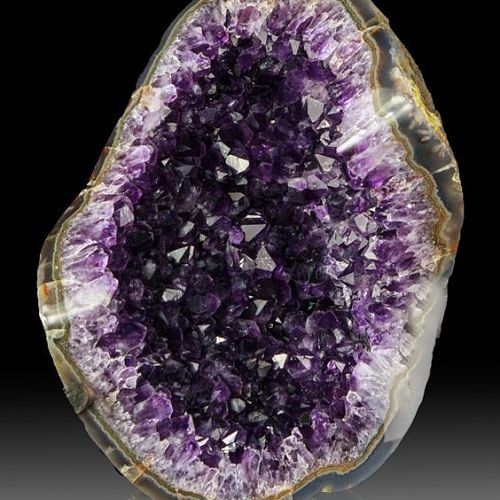 Geodes come from dissolved minerals seeping into gaps in other rocks, the water evaporates soooo slowly that we get beautiful big crystals. You can try putting your egg geodes in different places when they are evaporating, perhaps one on a radiator, one on a windowsill and one somewhere cold. Just make sure they’re not going to get knocked over! It’s time to get messy! Here is one you definitely don’t want to do in your kitchen, take the experimenting outdoors. You may have already seen or heard about the Coke and Mentos experiment. Basically you drop some Mentos in a bottle of Diet Coke and stand well back as it makes a big fizzy mess! First, you need to know what is going on. Fizzy drinks are just flavoured drinks that have a whole load of carbon dioxide gas dissolved into them. The gas stays trapped inside for as long as the lid is screwed on tight, when you take the lid off it will slowly come out as small bubbles. This is what makes the drink ‘fizzy’. If you’re a very patient person who really likes watching bubbles, you could sit and watch it for a couple of days while each bubble gradually makes its way out. I’m guessing that you would like something a bit more dramatic! By dropping things into the bottle, you can get all those bubbles to form at once and rush out of the bottle in a big fountain. The most famous example is the Mento but it is not the only contender for best fizz-producer. 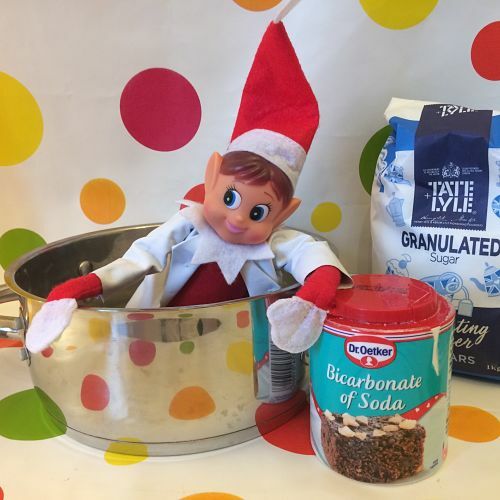 You can try out other sweets, salt, sugar, cake sprinkles…whatever you have in the cupboard. Try different drink brands and flavours, which is best? Don’t waste your money on expensive drinks though, I’ve had great results with the cheapest supermarket brands. All of them work by the rough surface of the sweet providing ‘nucleation sites’, these are places where bubbles can easily form. Give them lots of nucleation sites and get lots of bubbles…simple! You can see a slo-mo video of one of our explosions on our Facebook page. We’d love to see your exploding fizzy drinks so do share your videos with us on Instagram, Facebook or Twitter! Two very important things that you need to know: (1) This is an OUTDOOR experiment!!! It makes a big mess so make sure it is on the grass or somewhere that spillage doesn’t matter. (2) Only use sugar-free drinks, they simply work better (and don’t leave a horrid sticky mess that will attract every ant in the world to your garden). You might like to make a cardboard tube ‘launcher’ so you can drop several sweets in at once. Be warned it ‘erupts’ pretty quickly so stand back! And … do this outdoors (did I mention that?). There are lots more experiments to try on our Home Science page. If you’d like a visit from a Fab Scientist to bring even more cool stuff to your birthday party or school, give us a shout! When you hear someone speak, you don’t just hear what they are saying. You can also tell where they are. 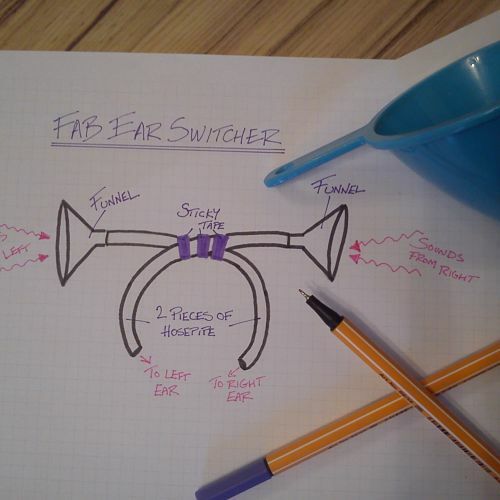 Trick your ears by making this simple ‘Ear Switcher’. All you need is about a metre of hosepipe, a couple of funnels and some sticky tape. Cut the hose into two pieces, stick a funnel in the end of each one, then tape it together as in the picture. If you have a plastic Alice band, stick the whole thing on that to make it easier. Pop it on your head and hold the free ends of the tube in your ears (never stick anything right into your ear!). Now close your eyes and get someone to make noises, can you work out where they are? We normally work out direction because sounds reach one ear before the other. Sound travels super-fast (over 700 miles per hour) so there is only about a two-thousandth of a second between hearing it in one ear and then the other. Your brain is clever enough to notice that difference and use it work out a direction….until you confuse it with an Ear Switcher! Volcanoes hold great fascination among children (and grown-ups!). Here are some ideas for making your own and experimenting with the best eruptions. First you need to find out about volcanoes. Do you have any books about them? Try looking up ‘volcano facts for kids’ on the internet. There are some great pictures and videos available too. Do you want to make a cinder cone, stratovolcano or shield volcano? Then think about what to make it out of. You could use sand, salt dough, paper mache, Lego, junk…be creative. It will get messy though! Whatever you make it out of, it needs to be on a big tray to catch the ‘lava’. Put a small bottle inside to be the ‘magma chamber’, make sure you don’t cover the top of this. There are a few options for making your volcano erupt. You can try them out (on a tray or in the sink!) before choosing one to go in your volcano model. The most common is vinegar and bicarbonate of soda. Just mix a tablespoon or two of bicarbonate of soda with about a cupful of warm water. Pour it into a small bottle, add a squirt of washing-up liquid and then vinegar. You can experiment with different amounts of vinegar and powder. Or try a mini version of Coke and Mentos. Take a small (250ml) bottle of diet cola, drop in three Mentos and decide if that’s the eruption for you! My favourite is a much slower eruption but it just keeps on going for ages. This one needs some 6% hydrogen peroxide (available cheaply in all chemists, don’t use any stronger than 6%). Pour 100ml into a small bottle, add a good squirt of washing-up liquid and then add the magic ingredient: a spoonful of yeast mixed with warm water. The foam ‘lava’ is safe to play with, it’s just soapy water. 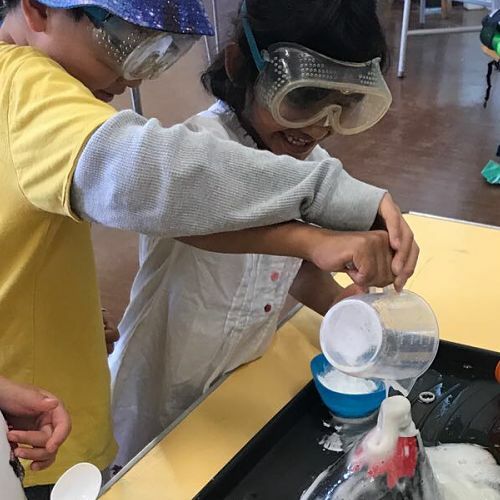 The vinegar and bicarbonate of soda react together because they are an acid and an alkali (see the colour changing cabbage experiments for ideas about this). The chemical reaction makes a type of salt, some more water and carbon dioxide gas. It’s the gas the makes it into an eruption, the washing up liquid just catches some of this gas to make a load of bubbles. 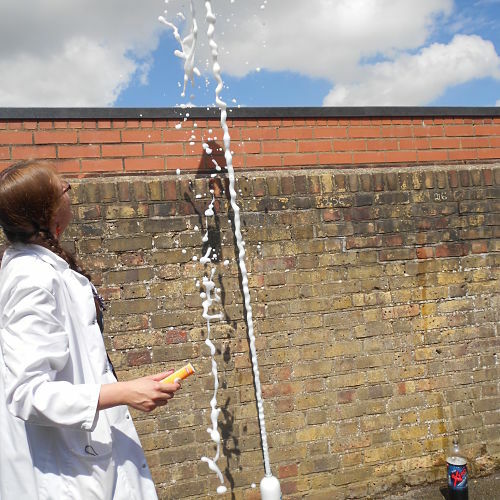 See the Fizzy Fountains experiment for ideas about Coke and Mentos. The final eruption is called ‘elephant’s toothpaste’ as it looks a bit like a massive heap of toothpaste being squeezed out of a tube. The hydrogen peroxide can break down to make water and oxygen gas. It usually happens pretty slowly but the chemicals in yeast speed it up. All the gas bubbling up through the washing up liquid is what makes all the foamy fun! We’re always told not to play with our food but sometimes it’s tricky not to! 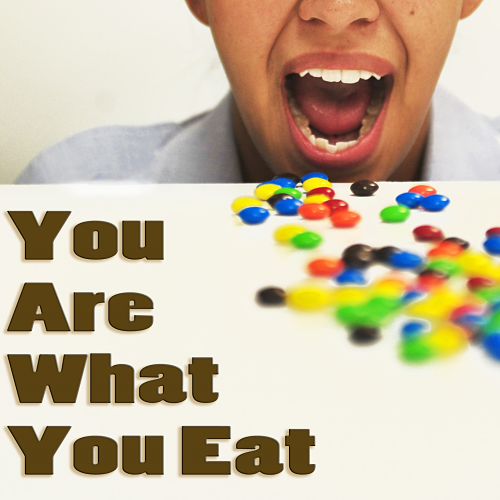 Here are some interesting investigations on food and our sense of taste. Investigate how your senses of smell, taste and sight work together to help you enjoy your food. 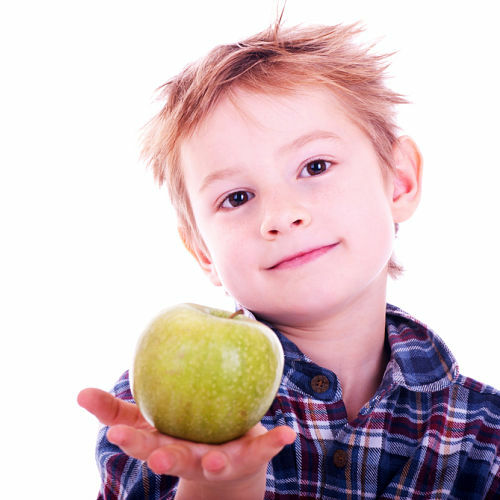 Get a few different fruits or vegetables such as carrot, apple, potato, turnip, parsnip or pear. Either grate or chop them into small pieces (all about the same size). Now get a volunteer to close their eyes and hold their nose while you feed them a little of each. Can they work out which is which? They probably can’t as you need all of your senses for your brain to identify a food. You could try different foods or different people (are adults or children better at this?). Apparently even strong-tasting foods such as garlic don’t taste any different from a potato if you hold your nose but I’ve never been brave enough to try! You could try chewing a small piece of raw potato while sniffing a piece of apple, does it start to taste of apple? A boring old piece of celery can teach you lots about how plants work. Plants do not have veins and blood like us but they do have a system to move things around. They have special tubes called xylem vessels to carry water up from their roots to their leaves. You can see this in action if you put a stick of celery in a glass of coloured water (use food colouring). After a couple of hours you will see the colour has moved up the stem. If you cut across it, you will be able to see the xylem vessels clearly. You could try splitting the base of the celery stick and putting each half in a different colour do the colours mix or stay on their own sides? Try looking at other veg when you’re eating, can you see the xylem vessels in a carrot or lettuce? You will need: an old CD or DVD (check before you steal your mum’s favourite Take That album! ), a sports-bottle cap (Fruit Shoot or similar), a balloon, Blu-tack. Roll the Blu-tack into a sausage and use it to attach the cap the centre of the CD. Make sure the cap is closed. 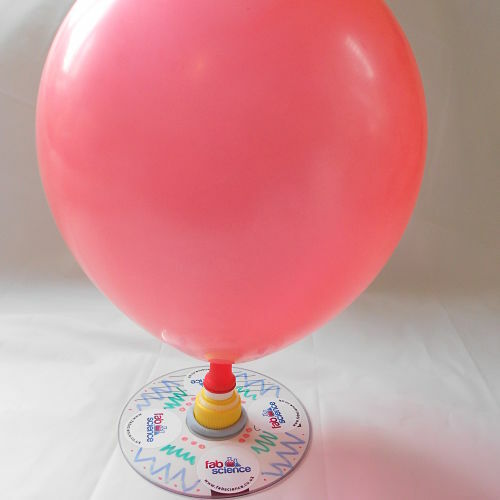 Inflate the balloon but don’t knot it, then carefully stretch the opening over the bottle cap (it helps if you twist the end of the balloon to stop it deflating while you’re doing this). Your hovercraft is now ready to go! Carefully open the cap and the air will start to escape from the balloon. This makes a ‘cushion’ of air under the CD so you should be able to skim it along a smooth surface (the floor is best). Why not decorate your hovercraft and race it against your friends? Try skimming it without the balloon (or with the cap closed), what do you notice? The cushion of air reduces friction between the CD and the floor, can you find out more about friction? Does the size of the balloon make a difference?